Delivered with all Fittings and Heavy Duty Roofing Felt for Self Assembly. The size of the Log Cabin makes it extremely versatile for whatever use you have in mind and the generous headroom gives one the feeling of spaciousness. You can be assured that the Log cabin will provide a luxurious garden building that not only looks great but makes you feel great too. Once inside you cannot fail to notice the quality of the timber walls that instantly give you a comforting feeling and the thick roof beams provide a fantastic feature within the log cabin. A log Cabin is built to last - a log cabin gains its strength and stability from its corners and the 4 way corner joints used in their log cabins ensure their log cabins are sturdy and will withstand all weather conditions so you can relax in a Log Cabin whatever the weather. 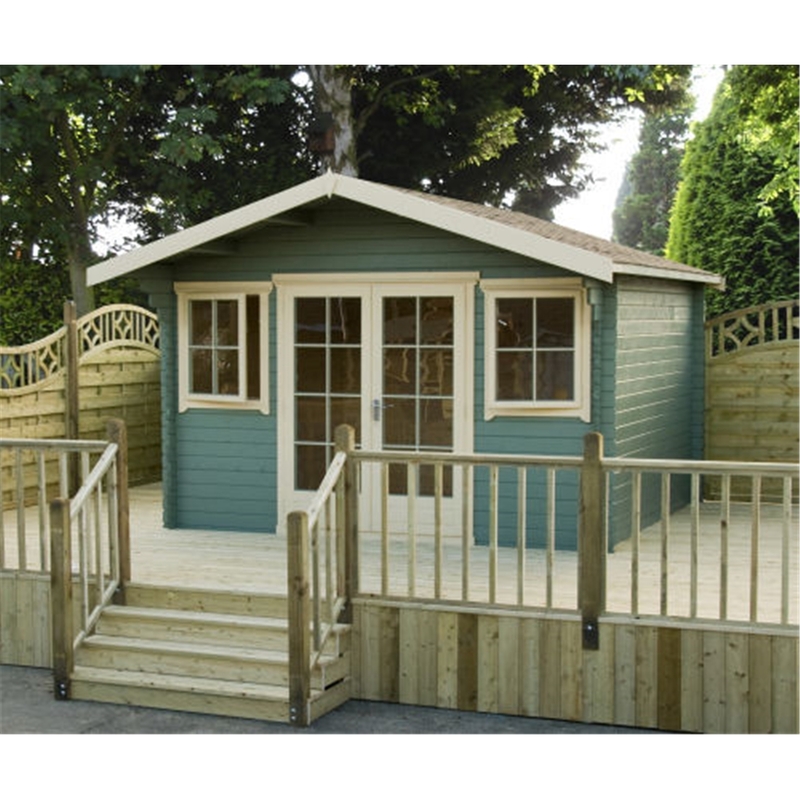 The Log Cabin is superbly built from thick interlocking logs of the highest quality. A log cabin will last you a lifetime and if you want to move you can simply dismantle and rebuild. The full glazed double door and windows provides plenty of natural light as well as complementing the design of the building. All windows and doors are all handcrafted joinery and are fitted with a draught seal system ensuring that you are kept snug during those winter months. The Log Cabin is supplied with heavy duty green roofing felt, and all fixtures necessary to complete assembly. Floor joists are supplied properly pressure treated through the in house facilities.